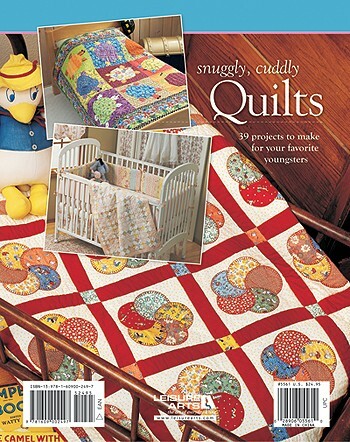 Wanting to make a gift of love for a special baby or youngster is often the reason many people get started in quilt making. The small sizes are fairly quick to finish, and the cute designs are just plain fun! 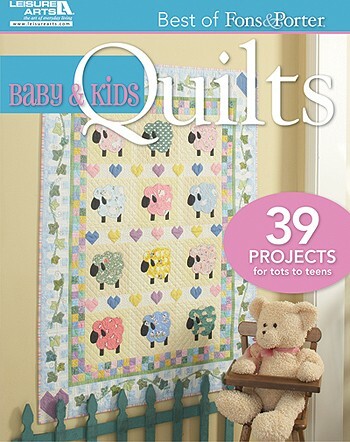 This charming collection for toddlers to �tweens compiles 39 of the best quilts from Fons & Porter�s Love of Quilting magazine and its special issues. Each quilt is shown in full color, accompanied by an assembly diagram, a complete materials list, and step-by-step instructions. There are projects for all skill levels, as well as styles from soft and sweet to bold and bright. 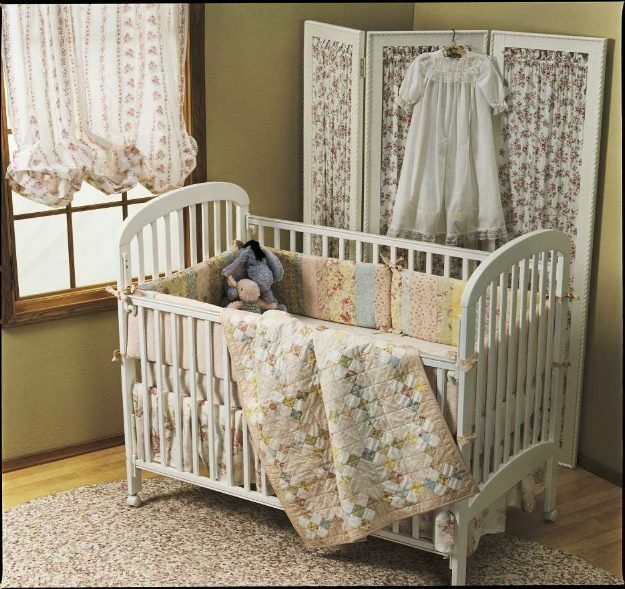 Designs include Little Lambs Eat Ivy, Circle of Life, Stars for My Little One, Daisy Dreams, Baby Rose Crib Set, Quillows for Kids, Training Wheels, and more.